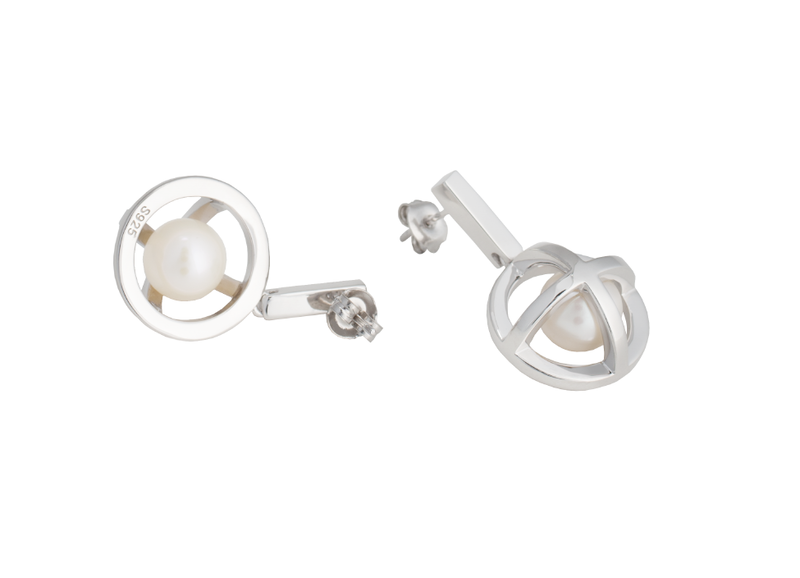 In the Hidden Globe drop studs, the sophisticated pearl cage sits right underneath the ear. 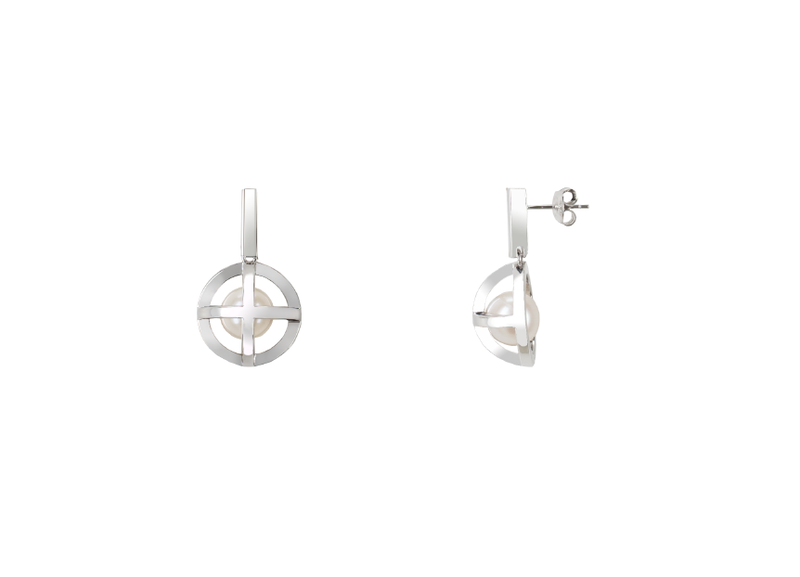 As part of the Hidden Globe collection, they are a fond contribution to modern jewellery design, giving the popular yet bourgeois white pearl a fresh makeover. The elegant butterfly back earrings are an effortless way to enhance both day and evening looks that will give your styling a modern touch. 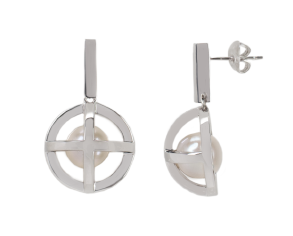 MATERIALS Rhodanized sterling silver Pearl: genuine white round sweetwater pearl with a slight rose shine MEASUREMENTS The earrings have a total length of 3,5cm. The Hidden Globe has a diameter of 18mm. The round sweetwater pearl has a diameter of 10mm. CARE The silver is rhodanized to protect it from oxidation, to keep the beautiful shine and make it more resilient against scratches. Anyhow, this delicate piece of jewelry is made of precious materials, which deserve a careful handling. Pearls and silver should be protected against any kind of chemicals, including soaps. The jewelry should be stored seperately to prevent it from scratching, the best is to keep the jewelry in the original box after wearing.